2017. xxiii + 264 pp. Includes Index. (Anticipation Science, Vol. 2) Springer, New York. This rare publication continues an exploratory journey in relational biology, a study of biology in terms of the organization of networked connections in living systems. It builds on the author’s two earlier monographs which looked at the epistemology of life and the ontogeny of life. Here the emphasis is on the intangibility of life, that the real nature of living systems is conveyed not by their tangible material basis but by their intangible inherent processes. Part I is a comprehensive study of the most important functor in relational biology, the power set functor. 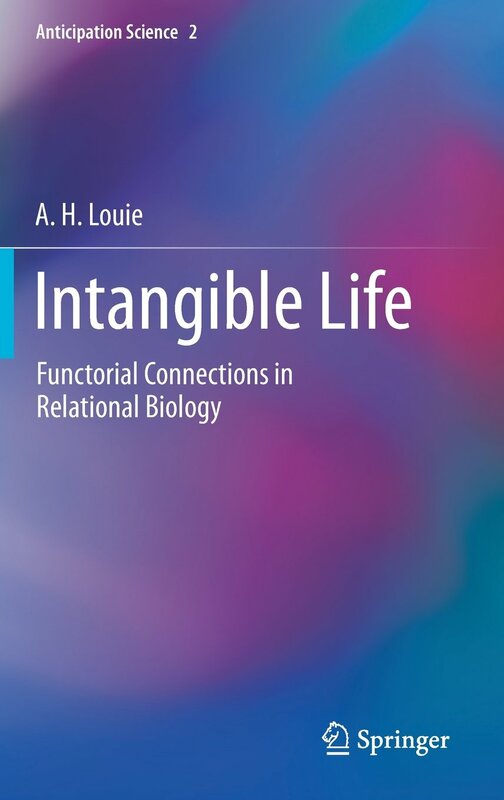 The author lays the set-theoretic foundations of the functorial connections in relational biology, exploring relations, mappings, and set-valued mappings. In Part II, Natural Law receives a new mathematical formulation founded on two axioms: ‘Everything is a set.’ and ‘Every process is a set-valued mapping.’ The reader sees how Metabolism–Repair networks, equipped with set-valued processors, expand their role from models of biological entities to generic models of all natural systems. Part III expounds the various shades of invertibility in general, and the inversion of encoding to decoding in particular. A plethora of mathematical and biological examples illustrate the category-theoretic concepts of equivalence and adjunction. This book’s algebraic approach to biological models will appeal to researchers and graduate students in mathematics, biology, and the philosophy of science.